We are manufacturer of Below Products : (1) Rinsing Filling Capping Machine for Mineral Water(2) Rinsing Filling Capping Machine for Carbonated Drink. (3) Rinsing Filling Capping Machine for Hot Fill Juice. 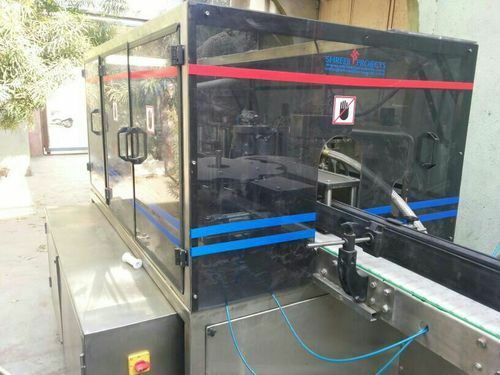 (4) Rinsing Filling Capping Machine for Glass bottles, PET Bottles and PET Can (New Innovation)(5) Semi Automatic Shrink Wrapping Machine(6) Fully Automatic Shrink Wrapping Machine. (7) Sticker Labeling Machine. (8) Fabrication of All types of S.S. Tanks for Beverages, Sugar Jacketed Tanks and etc. (9) Aerosol Product Filling, Crimping and Propellant Filling Machine. Apart from above we are taking turnkey projects for below: (1) Carbonated Drink Plants. (2) Juice Beverages Plants. (3) Mineral Water Turnkey Plants. (4) PET CAN PROJECT.